Wanted: Tough, skinny, wiry fellows. Must be expert riders, willing to risk death daily. 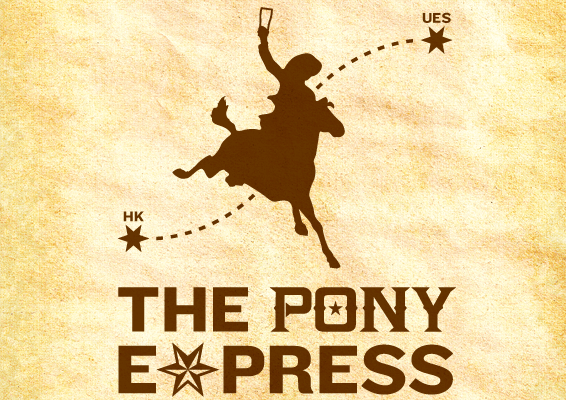 A couple weeks back, Sixpoint teamed up with The Pony Bar, an NYC craft beer institution with locations in both Hell’s Kitchen and the Upper East Side, to create the first ever Pony Express event. But instead of Buffalo Bill Cody kickin’ up dust, it was the Pony Express bus taking beer lovers on a journey across Manhattan to enjoy nearly two dozen unique Sixpoint offerings at each location. To fill out the full 45 taps of Sixpoint, (including 3 brews on cask), there were a few Spice of Life offerings, some Mad Scientists’ brews, including the brand new Grätzer, and a number of the more elusive Sixpoint beers, such as Gorilla Warfare, Otis Stout, and a coveted keg of 3Beans. Collectively, this epic two-bar event went down as the biggest Tap-Takeover in Sixpoint’s history. The Sixpoint team spent some time on the Express, enjoying the keg of Sixpoint that was available on the bus and hanging with the Pony Bar crew and anyone else who hitched along for the wild ride.